New in 2018! Vendor Alley with vendor booths alongside three competition arenas! 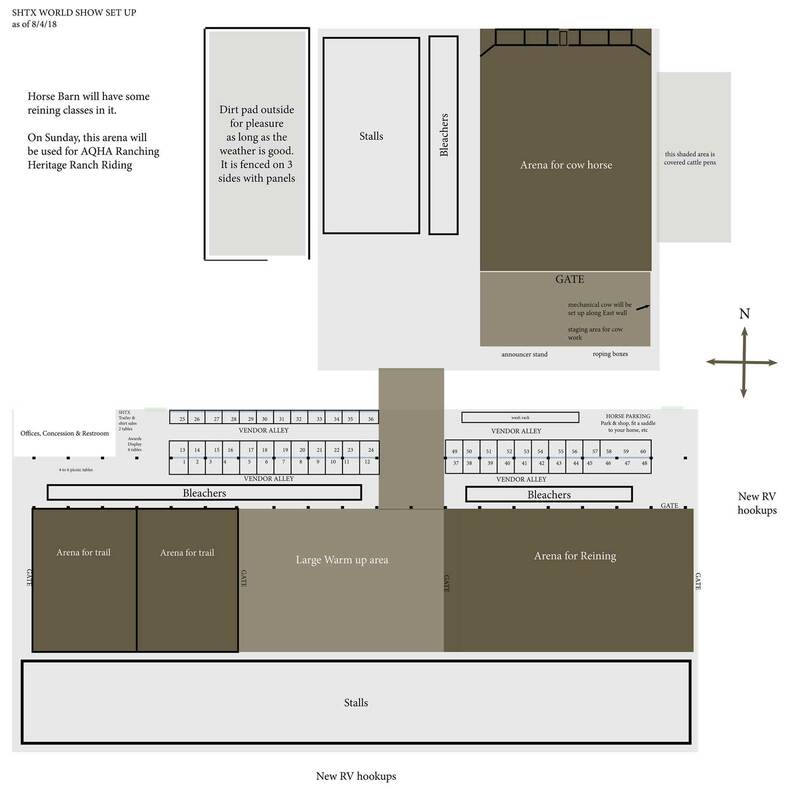 This year we are moving into a new facility at the Taylor County Expo Center that will offer us more open gathering space and a “hub” of activity. This is also giving us the chance to have a much larger trade show — alongside the arena — for much better traffic flow! We are excited about the opportunity to have more room for vendors to interact with our membership. We are also planning a Saturday night exhibitor party in this area to hand out awards. Join Us! Pair a Vendor Booth with a Show Sponsorship for additional exposure! We are only allowing a limited number of vendors selling similar items. Call the office at 855-846-7468 to check on availability. Trade show layout could change, depending on the contracts received. Free, full color programs are provided to all exhibitors and spectators during the Western Horseman Stock Horse World Show. 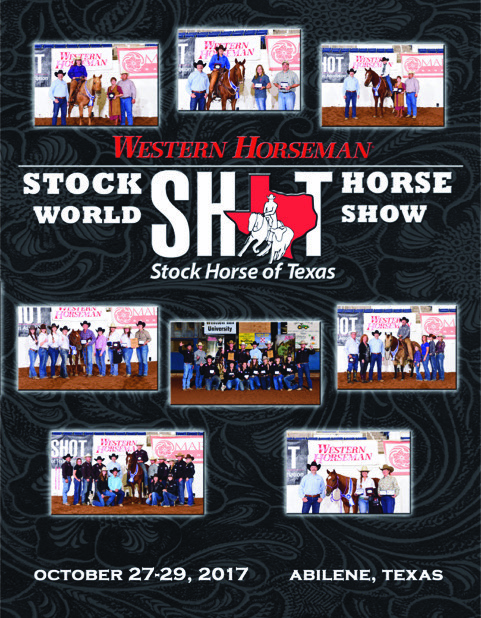 Showcase your business or wish your friends good luck in the Stock Horse World Championship Program. Programs are handed out free of charge at the Stock Horse World Championship. If you are interested in advertising, contact the SHTX office (855-846-7468) no later than Oct. 1.